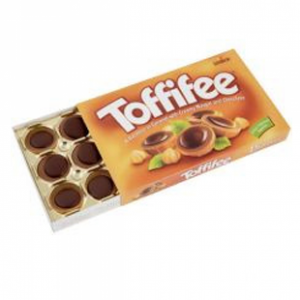 Toffifee - Could we use something different to a plastic tray and film? Toffifee – Could we use something different to a plastic tray and film? We understand your concerns and can assure you that it is always our aim to use as little packaging as possible. With food packaging, we need to ensure the quality of our product is maintained and that it is safe and consumable; plastic wrapping is the most hygienic option available to us. Unfortunately, this is not yet biodegradable; there currently isn’t a biodegradable material that would be suitable for us to use at this point in time.